Hi Vinita Marwaha Madill! What is your job and what is the most exciting part about the work that you do? I’m a Space Operations Engineer at the European Space Agency (ESA) working on future human spaceflight projects, including the European Robotic Arm (ERA). The European Robotic Arm has been developed by ESA and is soon be launched to the International Space Station (ISS). The European Robotic Arm will help astronauts and cosmonauts carry out spacewalks (or EVAs) and install new parts of the space station. 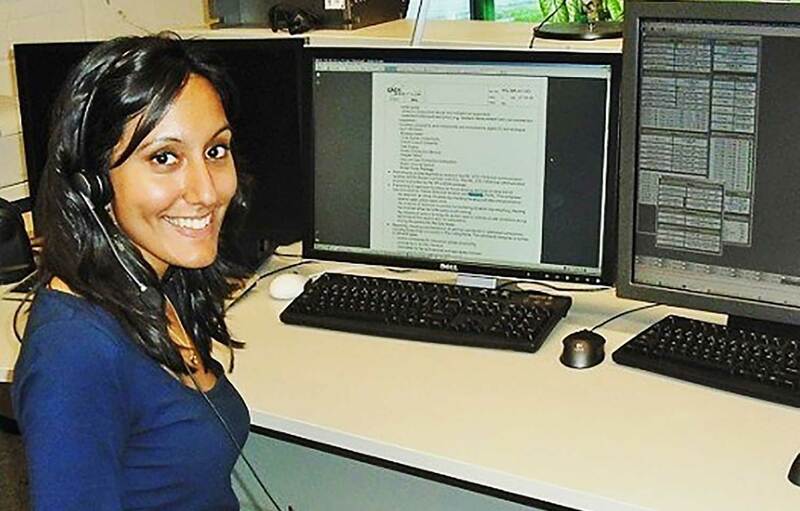 As a Space Operations Engineer I work on developing the operations for the project, including preparing a smaller version of Mission Control at ESA’s technology centre ESTEC in the Netherlands, and astronaut training. My typical day could vary from developing astronaut/cosmonaut (Russian astronaut) spacewalk (or EVA) training with colleagues in Russia, to creating and testing missions for the astronauts to control the robotic arm at ESA. Once the robotic arm is launched I’ll be working on-console at ESTEC and from Mission Control in Moscow on robotic arm operations and supporting the spacewalks conducted by the astronauts and cosmonauts onboard the ISS. Having wanted to work in the space industry since I was young, working at the European Space Agency is a dream come true. One of my favourite things about working in the space industry, is that the environment at ESA is extremely international. I enjoy being able to work with colleagues from all around the world to design future human spaceflight projects. In addition to my work at ESA, I run a website called Rocket Women which aims to inspire the next generation to choose a career in STEM, through providing advice and highlighting the work of trailblazing women in STEM today. Knowing I wanted to work in the space industry, I learned about an organisation called UKSEDS (UK Students for the Exploration and Development of Space) whilst at university studying Physics, through which I met space professionals for the first time, some of whom I actually went on to work with. I also completed a 9-week course called the Space Studies Program at the International Space University (ISU), which gave me an overall view ofthe international space industry and was where I decided that I wanted to work on human spaceflight operations, specifically related to spacewalks (EVAs), and spacesuit design. The typical stereotype of a space engineer or someone who works in tech is usually male and nerdy, which needs to change. Many men and women that work in STEM and in the space industry don’t consider themselves a stereotypical ‘nerd’. Girls in particular though also need to know that it’s fine to be nerdy, or simply smart. In fact as an increasing number of jobs incorporate at least a moderate level of technical skills, it’s going to be necessary for girls to learn to code and feel comfortable in a technical environment in order to succeed and thrive in any chosen career. Ultimately, engineering is about problem solving, teamwork and creativity; skills that we need for the future. As a child I was an avid reader and read every space book I could get my hands on. I’ve always being inquisitive about space and I remember being an enthralled six-year-old when I learned that the first British astronaut, chemist Helen Sharman flew to the Mir space station. In that moment looking at the image of Helen Sharman in her Sokol spacesuit, I realised that that woman could be me. Being a girl born at the end of the 80s in the UK I realised right then that maybe, just maybe, I could be an astronaut too. That changed something inside me. Here was a woman in front of me born in Sheffield, who had studied chemistry, replied to a radio advert calling for UK astronauts, beat 13,000 applicants and had recently gone to space. She was, although I didn’t know it yet, a role model to me. She showed me at a young age that my dreams were possible. I’m also lucky to have had adults, both parents and great teachers, around me at that age who cultivated that interest and encouraged me to study space. My parents helped me greatly, taking me to Science Museum in London and the National Space Centre in Leicester on the weekends to experience space hardware first hand and thankfully let me spend hours reading about space. 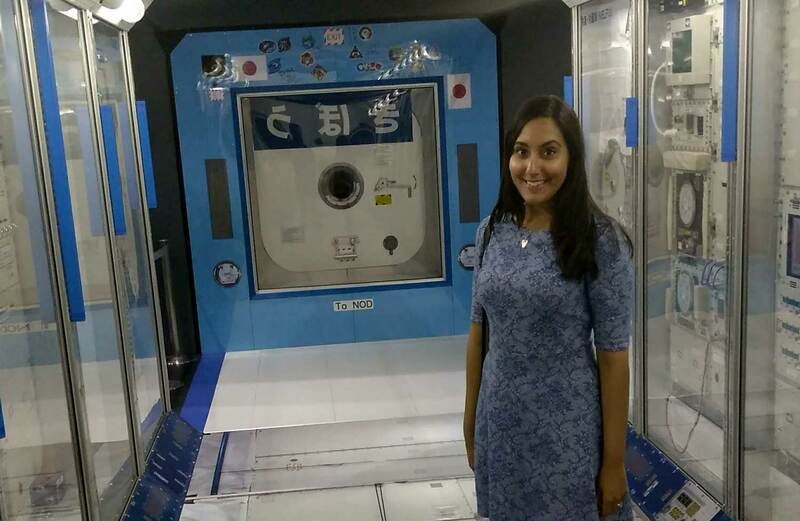 The experience that I gained through gaining a comprehensive view of the space industry through being involved with UKSEDS, studying at the International Space University and through focused internships/volunteering helped to forge the path to where I am now. I think almost everyone that I know working in the space industry and otherwise has felt like their future career was unknown at times, but pursuing your passion and persevering is important, whether you’re able to do that in you main job or even as a side hustle or volunteering role. It’s important to enjoy the subjects that you study and the work that you’re doing. So I’d recommend young people considering a career in space to really pay attention to what their passion is for. Travelling back to the Moon and onwards to Mars is the next natural step for humankind. Exploration is what we do as human beings. Travelling to Mars would also give humankind a new perspective on the Earth and our place in the Universe, whilst giving us something optimistic to pursue together as a species. Presently, ESA’s ExoMars project is laying the foundations for humans to explore Mars in the future. We’re uncovering more about the planet each day and essentially finding potential sites for human settlements in lava tubes for example, and recent missions have discovered water ice at the poles. Closer to Earth, the Lunar Orbital Platform – Gateway that we’re currently designing with the ISS international partners will be a stepping stone from which we can travel onwards to Mars, and international collaboration will be crucial to its success. These international projects will help to lay the foundations for humans to explore and hopefully settle on Mars in the future. 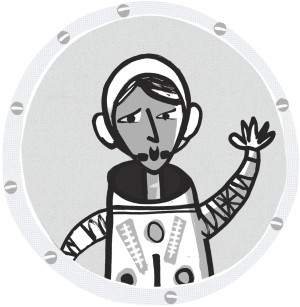 Vinita appears in Activity 2.4 Design Your Own Rocket in Chapter Two of the Mars Diary. View the activity here.